At one point or another, we’ve all been asked to name five people, living or dead, with whom we’d like to have dinner. Why do we choose the people we do? And what if that dinner was to actually happen? 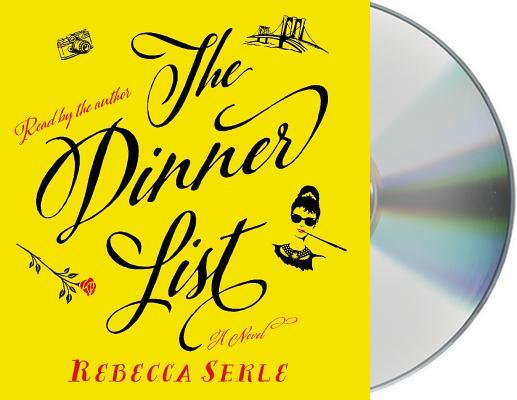 These are the questions Rebecca Serle contends with in her utterly captivating audiobook, The Dinner List. Delicious but never indulgent, sweet with just the right amount of bitter, The Dinner List is a romance for our times. Bon appetit. Rebecca Serle is an author and television writer who lives between NYC and LA. Serle co-developed the television adaptation of her YA series Famous in Love for Freeform and Warner Brothers Television. She is a graduate of the University of Southern California.